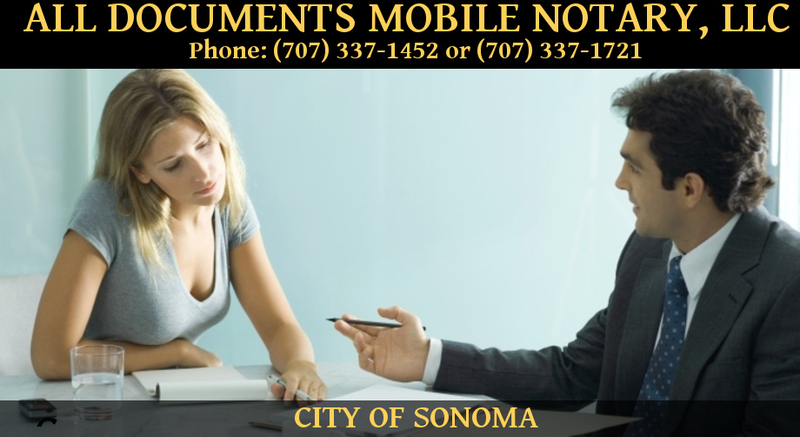 NNA Certified, CA Licensed, Background Screened Loan Signing Agents and Mobile Notaries Eileen McCooey and Clive Prasad are a Husband-wife team serving the counties of: Sonoma, Napa, Marin, . 20 years combined expertise with all types of loan documents - 20,000 signings completed since 2001. Capability for E-signings with laptops, aircards, and dual tray printers.Personally requested daily by loan officers, real estate brokers, bank managersbankers and title/escrow officers, mortgage cos and the general public. Many references available upon request. Buyers,sellers,refis,helocs,reverse mortgages,construction,anything you need notarized.Last minute e-docs perfectly okay! This profile was last updated on 10/25/2013 3:56:00 PM. This profile was last updated on 10/25/2013 3:53:00 PM. USA Apostille service. 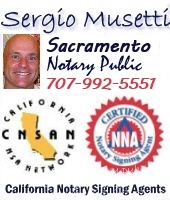 Spanish Translation, Sacramento Mobile Notary Public. 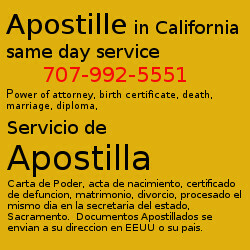 Servicio de Apostilla, traduccion, certificacion, notarizacion, California. What type of documents? Need Apostille, translation, certification, Notary Public, filing at the Secretary of State, other?